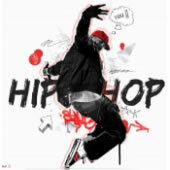 Download I Made It ringtone for mobiles - one of the best ringtones for free! You will certainly enjoy its beautiful melody. At PHONEKY Free Ringtones Store, you can download ringtones of different genres, from Pop/Rock and R'NB to the Jazz, Classic and Funny mobile ringtones for any mobile phone free of charge. Download ringtones to your mobile phone directly or via computer. To see the Top 10 best ringtones for mobile phones, just sort ringtones by popularity.